Are you an Easy Rider? August 21, 2018 / admin / Comments Off on Are you an Easy Rider? This Saturday (25 August) will be the fifth Easy Riders meet of the year – don’t miss out if you want a gentle, sociable group ride to Forty Hall! Details here. 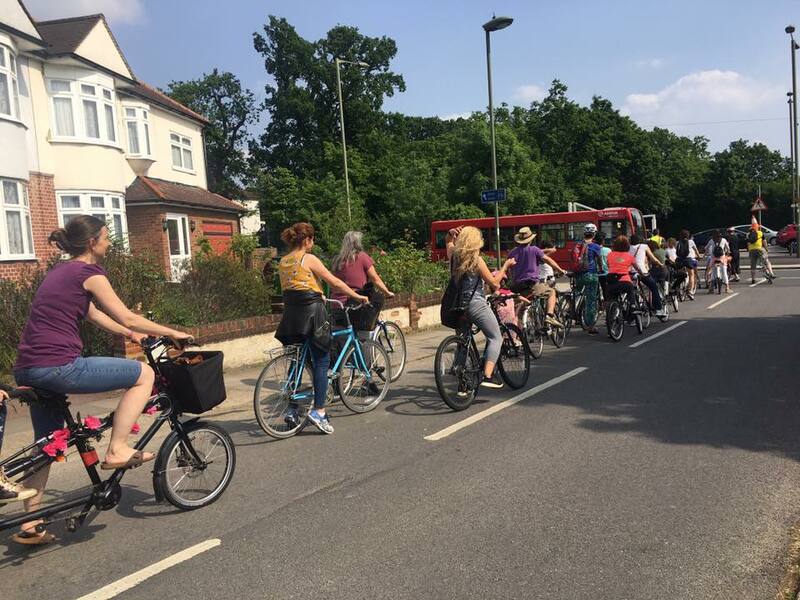 Following March’s enjoyable family bike ride, where dozens of families turned up to celebrate and ride the new A105 bike lanes, our sister campaign Enfield Cycling Campaign has been organising similar rides on the last Saturday of every month from April to September. 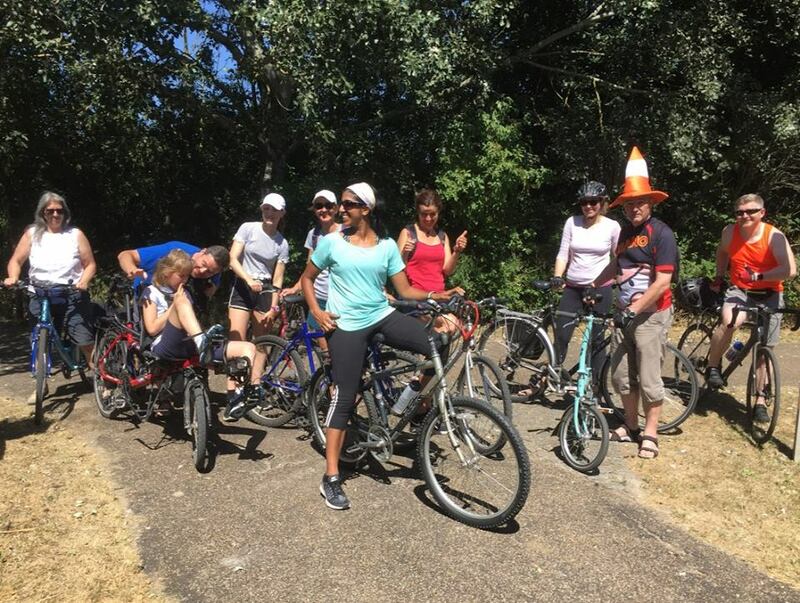 The idea of Easy Riders is to demonstrate some safe, easy routes in Enfield for all ages and abilities, including some of the brand new infrastructure, so that more people feel confident to ride them on their own. The rides have a leader, marshals and generally cover 5 – 8 miles at a gentle pace – and there is always a cafe at the halfway point for a decent cake-filled break. What’s made each one of these rides so worthwhile is the people who’ve taken part. 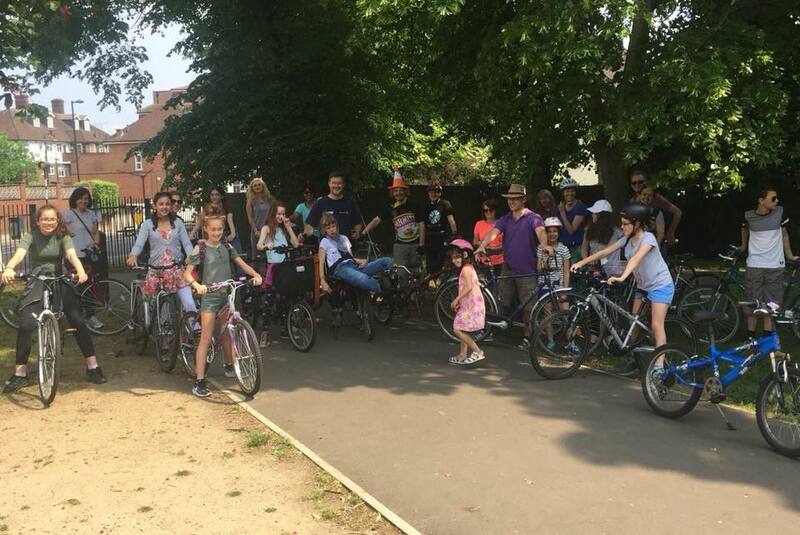 Sometimes nearly half of the group are children or young teenagers – women are generally in the majority – and there’s usually a few people who haven’t cycled in years. But the group simply rides at the pace of the slowest rider, and a ‘backstop’ brings up the rear to make sure no one gets left behind. ECC Ride Coordinator Oliver has led several of the rides, finding routes that are quiet or traffic-free. 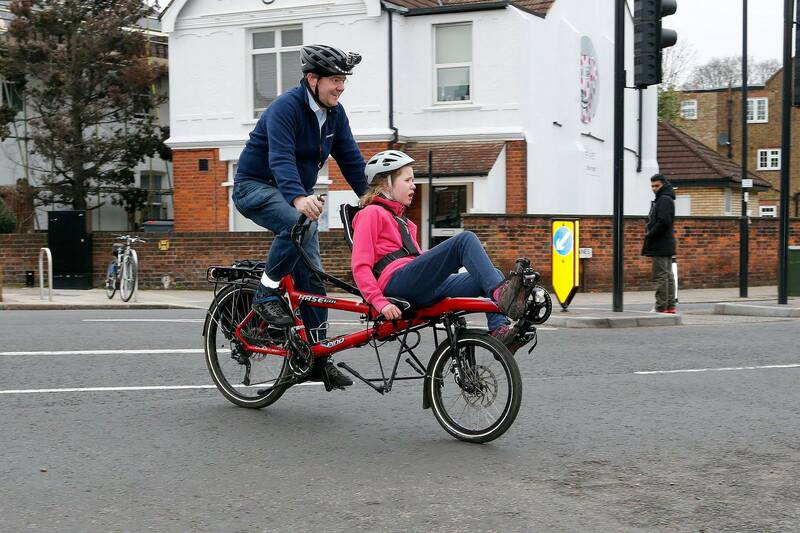 He and his daughter are hard to miss at the front on their striking recumbent tandem. 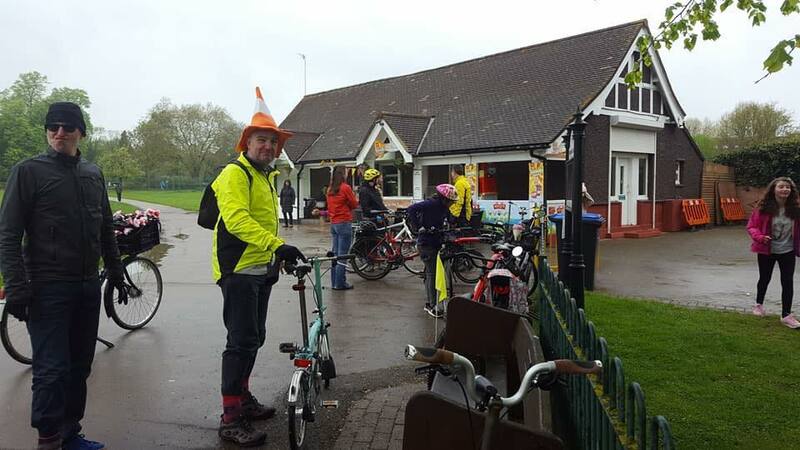 April saw a simple ride up the new A105 lanes, from outside Coffee Break in Winchmore Hill to Enfield Town park, via a clever backstreet link (Uvedale Road). 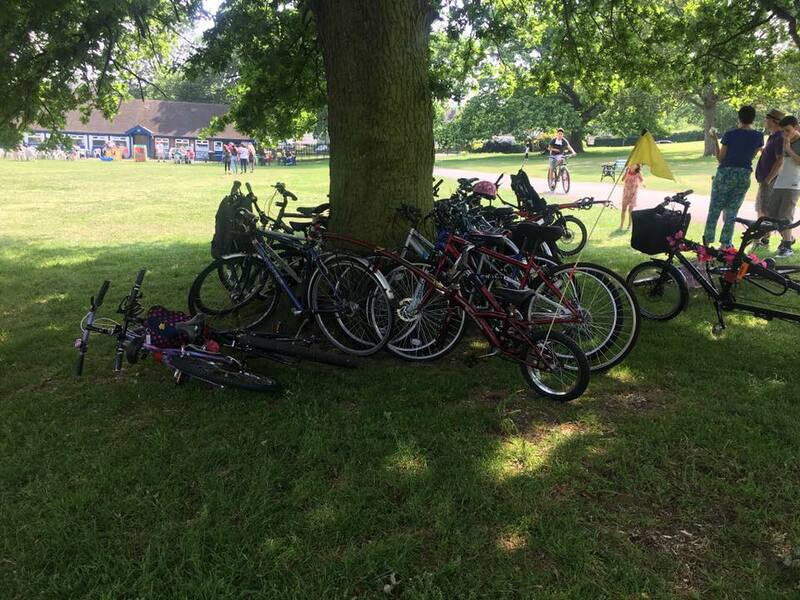 In May we cycled from Broomfield Park to Oak Hill Park in East Barnet, taking in Arnos Park and some quiet roads and off-road paths on the way. 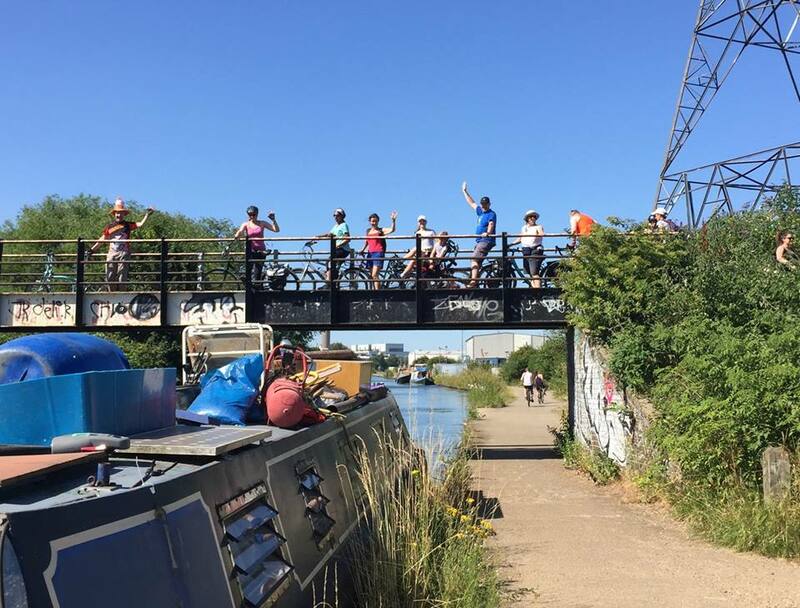 For June we had the most adventurous (and arguably most fun) ride – all the way to the Lee Valley, via Edmonton Green, a flyover with a cycle lane on it, Ikea Edmonton and the towpath along the River Lea. We all survived the heat and enjoyed a well-deserved break at Marksfield Park cafe. Instead of Easy Riders in July there was a led ride to join the legendary RideLondon FreeCycle event in the centre of town, where streets are closed for the day to allow traffic-free cycling. We’ll have a post reporting on this shortly.